Aberdeen Asset Management has established its first presence in the Middle East region by opening an office in Abu Dhabi in the United Arab Emirates. It has set up its regional hub in Abu Dhabi Global Market (ADGM), the international finance centre of Abu Dhabi, on Al Maryah Island. Aberdeen said it has become the first international asset manager registered with ADGM, setting its base at Abu Dhabi’s financial free zone. The manager pointed out demand in the MENA (Middle East & North Africa) region is expected to be highest for Aberdeen’s direct property, Islamic equities, multi asset income, Indian bonds and emerging market debt products. Reporting to Nigel Norman, head of Middle East & Africa at Aberdeen, Andrew Paul has been appointed as senior executive officer of Aberdeen Asset Management Middle East Limited, while Lucy Draper has been named senior business development manager. Paul joined Aberdeen in 2002 and was most recently head of Group Strategy in the company’s distribution division. Draper has been at Aberdeen since 2007 and has covered the international markets for seven years. Martin Gilbert, CEO of Aberdeen, commented: “The Middle East has been an important market for Aberdeen for many years and the establishment of a local office is the natural next step for us. We already enjoy a good relationship with a number of clients in the region and we believe the economic fundamentals of the region will create opportunities for asset managers over the coming years. Ahmed Al Sayegh, chairman of Abu Dhabi Global Market, said: “We warmly welcome the world-renowned Aberdeen Asset Management to the ADGM family of financial institutions and businesses. Aberdeen’s presence is a strong vote of confidence for ADGM as well as highlighting the importance and growth of this region. “Abu Dhabi has been a strategic link and important access for global investors seeking growth opportunities in the region. 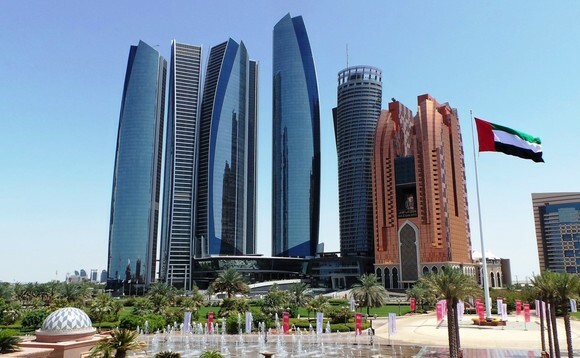 Our strategic location, world-class business infrastructure, air and telecommunication connectivity have anchored Abu Dhabi as an attractive trading and financial hub. We serve as a major centre for activities in global investment banking, asset management, securities, foreign exchange, wealth management and others. As of 30 June 2016, Aberdeen’s AUM totalled $402bn (€375bn).